Largely due to the success of the new Nissan LEAF. Renault-Nissan-Mitsubishi Alliance, currently the world's biggest car manufacturing group, announced 5.1% of sales growth during the first six months of 2018, to 5.54 million cars. 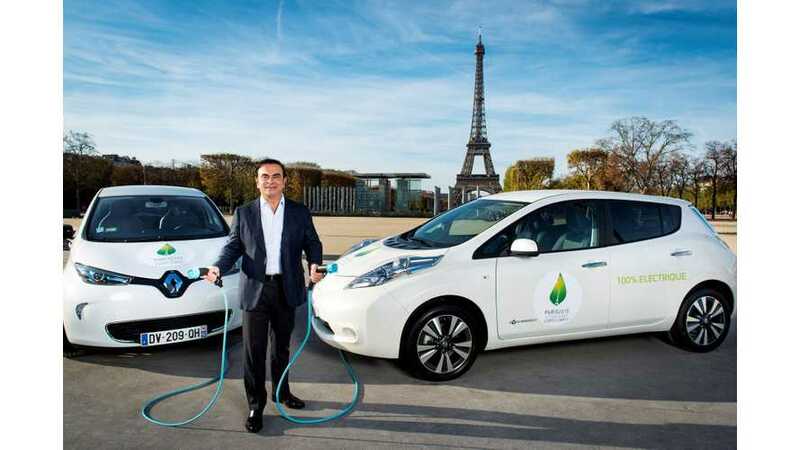 The Alliance, led by Carlos Ghosn, long-time electric car supporter, also increased its plug-in car sales this year - mostly thanks to the new Nissan LEAF, higher-capacity battery in Renault Kangoo Z.E. and expansion of the Mitsubishi Outlander PHEV to North America. The biggest gains are noted in Europe though. In six months, Nissan sold more than 47,000 electric cars, including deliveries of more than 18,000 LEAFs in Europe, more than 13,000 in Japan and more than 6,500 in U.S., as well as several thousands of e-NV200. Renault ZOE, on the other hand, noted 21.9% sales of passenger BEVs in Europe, while Kangoo Z.E. takes 38% of light-commercial BEVs. "Both Renault and Nissan reported strong demand in the electric vehicle (EV) segment. Renault secured 21.9 percent of the European EV market share with ZOE and Kangoo Z.E., which also holds 38 percent of the electric LCV market share. At Nissan, demand for the new LEAF contributed to EV sales of over 47,000 in the first half, and became the best-selling electric vehicle in Europe for the first half of this year with more than 18,000 registrations. Mitsubishi Motors remained the market leader in the PHEV SUV segment with continued orders for its hybrid-electric Outlander." The progress of Renault-Nissan-Mitsubishi Alliance is far from being satisfying, especially taking into consideration what Tesla and some Chinese manufacturers are doing, but in the coming years it will improve as the Alliance is busy developing new plug-in vehicle platforms for higher volume sales.